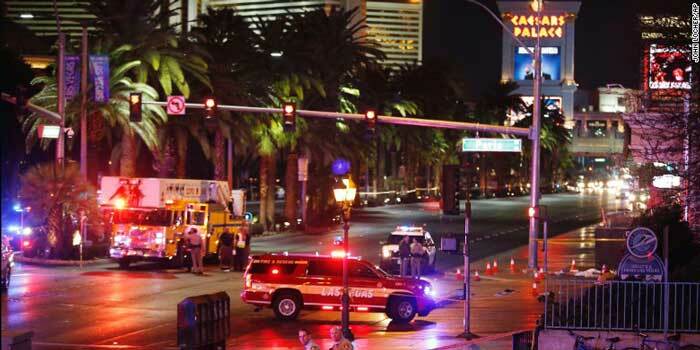 LAS VEGAS — A driver veered onto a crowded sidewalk several times on the Las Vegas Strip, injuring more than 30 people in what authorities described as an “intentional” act. At least one person was killed and 37 others injured near the Paris Las Vegas Hotel on Sunday night, Dec. 20, authorities said. She allegedly drove the 1996 Oldsmobile sedan onto the sidewalk at different spots and hit more people before barreling down the road. Police arrested the driver, and she is undergoing tests for alcohol and controlled substances. A 3-year-old in the car with her was unharmed. Authorities ruled out terrorism but said an initial investigation showed the driver did it deliberately. The driver, who is in her 20s, went onto the sidewalk at least three or four times, according to Zimmerman. Homicide division officials are looking at numerous surveillance videos from the Strip. Antonio Nassar said people scrambled to stop the woman as she drove on the sidewalk. “She rode the sidewalk, she came to a stop at the Paris intersection, people are punching into the window. … She accelerated again and just kept mowing people down,” said Nassar. A portion of Las Vegas Boulevard was closed after the incident and was reopened Monday morning, the police department said. One of the hospitals that treated the injured, University Medical Center, said of the 15 patients that arrived, one died, two were discharged, three are in critical condition and nine are in serious condition. Of the patients at this hospital, five are Canadians, University Medical Center spokeswoman Danita Cohen said. Witnesses described disturbing scenes as crowds fled. Others tried to stop the driver and drag the toddler out, she said. Shortly after the crash, the Strip emptied, an unfamiliar sight in the heart of the vibrant city.